The Legend of Zelda: Breath of the Wild[a] is an action-adventure game developed and published by Nintendo. An entry in the longrunning The Legend of Zelda series, it was released for the Nintendo Switch and Wii U consoles on March 3, 2017. Breath of the Wild is set at the end of the series' timeline; the player controls Link, who awakens from a hundred-year slumber to defeat Calamity Ganon before it can destroy the kingdom of Hyrule. Similarly to the original Legend of Zelda (1986), players are given little instruction and can explore the open world freely. Tasks include collecting multipurpose items to aid in objectives or solving puzzles and side quests for rewards. Breath of the Wild's world is unstructured and designed to reward experimentation, and the story can be completed in a nonlinear fashion. Development of Breath of the Wild lasted five years. Wanting to reinvent the series, Nintendo introduced elements such as a detailed physics engine, high-definition visuals, and voice acting. Monolith Soft assisted in designing landscapes. The game was planned for release in 2015 as a Wii U exclusive, but was delayed twice due to problems with the physics engine. Breath of the Wild was a launch game for the Switch and the final Nintendo game for the Wii U. Two downloadable content packs were released later in 2017. Breath of the Wild received acclaim for its open-ended gameplay and attention to detail, with many publications describing it as one of the greatest video games of all time. Critics called it a landmark in open-world design, despite minor criticism for its technical performance at launch. It won numerous awards, including several game of the year awards. By December 2018, Breath of the Wild had sold over 11.6 million copies worldwide, making it the best-selling Zelda game. Players are free to explore the world of Breath of the Wild using a variety of tools. For example, by jumping from a high elevation and deploying his paraglider, Link can travel distances quickly. Breath of the Wild is an action-adventure game set in an open world environment where players are tasked with exploring the kingdom of Hyrule while controlling Link. In terms of structure, Breath of the Wild encourages nonlinear gameplay, which is illustrated by the game's lack of defined entrances or exits to areas, scant instruction given to the player, and encouragement to explore freely. Breath of the Wild introduces a consistent physics engine to the Zelda series, letting players approach problems in different ways rather than trying to find a single solution. The game also integrates a "chemistry engine" that defines the physical properties of most objects and governs how they interact with the player and one another. For example, players may take advantage of the game's dynamic weather by throwing metal objects at enemies during thunderstorms to attract a lightning strike. However, the level of realism offered in the "chemistry engine" also means that players will equally attract an unavoidable fatal lightning strike if wearing any metal during thunderstorms. These design approaches result in a generally unstructured and interactive world that rewards experimentation and allows for nonlinear completion of the story. As Link, players can perform actions such as running, climbing, swimming, and gliding with a paraglider, although Link is limited by his stamina. Link can procure items from the environment, including weapons, food, and other resources. Unlike previous Zelda games, weapons and shields will degrade over time. Many items have multiple uses; for example, wooden weapons and armor can be set to light fires or collect incoming enemy arrows, and shields can be used as makeshift snowboards. Players can obtain food from hunting animals, gathering wild fruit, or collecting parts of deceased enemies. By cooking combinations of food or materials, the player can create meals and elixirs that can replenish Link's health and stamina, or provide temporary status bonuses such as increased strength or weather resistance. An important tool in Link's arsenal is the "Sheikah Slate", which can be used to mark waypoints on a map. Over the course of the game, Link can collect powers to add to the Slate, including remote bombs, the ability to manipulate metal objects, form ice blocks on watery surfaces, and temporarily stopping objects in time. In combat, players can lock onto targets for more precise attacks, while certain button combinations allow for advanced offensive and defensive moves. Players may also defeat enemies without weapons, such as rolling boulders off cliffs into enemy camps. Besides exploration, players can undergo quests or challenges to obtain certain benefits. Activating towers and shrines adds waypoints that the player may warp to at any time. Activating towers also adds territories to the map, although location names are not added until the player explores that area. Dotted throughout Hyrule are shrines that contain challenges ranging from puzzles to battles against robotic opponents. Clearing shrines earns Spirit Orbs, which can be traded for additional health or stamina points. Scattered across Hyrule are small puzzles that reveal Korok Seeds, which can be traded to expand inventory size for weapons, shields, and bows. Towns serve as hotspots for quests, sidequests and shops selling materials and clothing. Hikers and other travelers offer sidequests, hints, or conversation. Additionally, players can scan Amiibo figures against their console to summon items or call Link's horse Epona from previous Zelda games and Wolf Link from Twilight Princess. Breath of the Wild takes place at the end of the Zelda timeline in the kingdom of Hyrule. When the evil Calamity Ganon threatens Hyrule, he is defeated by Princess Zelda, descendant of the Goddess Hylia, with the help of her knight, Link. Hyrule matured into an advanced civilization, protected by four Divine Beasts— enormous animalistic machines— and an army of Guardians, autonomous weapons. Upon Ganon's return, four great warriors were given the title of Champion and piloted one of the Divine Beasts to weaken him, protected by Zelda, Link, and the Guardians. Link struck Ganon down with the Master Sword, allowing Zelda to seal Ganon away. 10,000 years later, the kingdom of Hyrule regressed to a medieval state. Reading their ancestors' prophecies, the Hyrulians recognized the signs of Ganon's return and excavated the Divine Beasts and Guardians. The champions of Hyrule's races—Daruk, warrior of the mountainous Goron; Mipha, princess of the aquatic Zora; Revali, archer of the birdlike Rito; and Urbosa, chief of the desert-dwelling Gerudo—assembled to pilot the Divine Beasts, while Zelda and Link battled Ganon. However, Ganon possessed the Guardians and Divine Beasts, turning them against Hyrule. King Rhoam and the Champions were killed, the castle town was destroyed, and Link was gravely wounded. Zelda took Link to safety, hid the Master Sword, and used her magic to trap Ganon in Hyrule Castle. 100 years later, an amnesiac Link awakens in Hyrule. He meets an old man, who reveals himself as the spirit of King Rhoam. Rhoam explains that Ganon, sealed in Hyrule Castle, has grown strong; he pleads for Link to defeat Ganon before he breaks free and destroys the world. Link travels Hyrule, returning to locations from his past and regaining his memories. With the help of the Hyrulian races, he boards the four Divine Beasts and purges them of Ganon's monsters, releasing the spirits of Hyrule's former champions. After obtaining the Master Sword from the Lost Woods, Link enters Hyrule Castle and defeats Ganon with the help of the Divine Beasts and Zelda's Bow of Light. Zelda seals Ganon away, restoring peace and allowing the spirits of King Rhoam and the champions to depart. Sensing their presence, Link and Zelda smile fondly. If the player fulfills certain conditions, they unlock an alternative ending in which Zelda realizes that Hyrule must be rebuilt and that she and Link must begin the process themselves. As Link and Zelda survey Hyrule and embark to rebuild their world, the princess confides that she may no longer possess any supernatural power, yet still she is happy. With Breath of the Wild, Zelda series producer Eiji Aonuma sought to rethink series conventions. Nintendo EPD, an internal division of Nintendo, developed Breath of the Wild for the Nintendo Switch and Wii U. According to series producer Eiji Aonuma, the development team aimed to "rethink the conventions of Zelda". Following the release of The Legend of Zelda: Skyward Sword in 2011, Aonuma received comments from players who wished to see a more interconnected map to explore the locales between the gameplay areas. In 2013, Nintendo experimented with nonlinear, open-world gameplay in The Legend of Zelda: A Link Between Worlds. 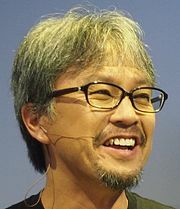 At the 2014 Electronic Entertainment Expo, Aonuma said he planned to reform dungeons and puzzles, two of the series' major gameplay elements, and redesign the game to allow players to reach the end without progressing through the story. As Nintendo had never worked on a modern open-world game before, they took influence from the development of The Elder Scrolls V: Skyrim. Prior to full development, the developers designed a playable 2D prototype similar to the original Zelda to experiment with physics-based puzzles. The final game uses a modified version of the Havok physics engine. At the 2017 Game Developers Conference, Director Hidemaro Fujibayashi, technical director Takuhiro Dohta, and art director Satoru Takizawa held a presentation titled "Change and Constant – Breaking Conventions with The Legend of Zelda: Breath of the Wild", during which they demoed the prototype. Aonuma called the physics engine in Breath of the Wild a major development for the Zelda series, saying that it "underpins everything in the world" and makes things operate in a "logical and realistic way", allowing players to approach puzzles and problems in different ways. He expanded on the difficulty in developing this system, recalling how one day during development he entered an area in the game and found that all the objects had been blown away by the wind. "Our mission in developing this new Zelda game ... is quite plainly to re-think the conventions of Zelda. I'm referring to the expectation that the player is supposed to complete dungeons in a certain order...we want to set aside these conventions, get back to basics and create a newborn Zelda so that the players can best enjoy the real essence of the franchise." The game was built and demonstrated with touchscreen features for the Wii U, but the developers found that looking away from the main screen distracted from the game. The features were removed when the game moved to tandem development across the Switch and Wii U. The Wii U GamePad also affected animation; although Link is canonically left-handed, he is right-handed in the game to match the GamePad's control scheme, which has its sword-swinging buttons on its right side. The Switch version performs better than the Wii U release when docked to a television, although when undocked, both run at the same resolution. The Switch version also has higher-quality environmental sounds. Aonuma stated that the art design was inspired by gouache and en plein air art to help identify the vast world. The game's landscape was based on locations in and around Kyoto, the hometown of game director Hidemaro Fujibayashi, and was partially designed by Monolith Soft, who assisted with topographical level design. "I really think the implementation of this physics engine is a major development for the Zelda series. The way the physics engine underpins everything in the world really offers up a lot of new possibilities. For instance, in Breath of the Wild you might have a puzzle where making use of the physics, there’ll be various ways you can solve that puzzle. That really opens up a lot of possibilities so there’s not just one way to progress in the game or just one way to solve a puzzle." The original score was composed by Manaka Kataoka, Yasuaki Iwata, and Hajime Wakai. Kataoka and Wakai had previously worked on the Zelda games Spirit Tracks and The Wind Waker respectively. The soundtrack was primarily written and performed on a piano, with a focus on ambient music and sounds rather than the melodic and upbeat music in previous Zelda games. According to Wakai, this helped add "authenticity" to the environments, and was taken on as a challenge by the rest of the sound team. Aonuma announced a new entry for Nintendo's Wii U console in January 2013 during the company's regular online presentation. The game, he continued, would challenge the series' conventions, such as the requirement that players complete dungeons in a set order. The next year, Nintendo introduced the game's high-definition, cel-shaded visual style with in-game footage at its June 2014 Electronic Entertainment Expo press event. Once planned for release in 2015, the game was delayed early in the year and did not show at that year's E3. Zelda series creator Shigeru Miyamoto reaffirmed that the game was still set for release on the Wii U, despite the development of Nintendo's next console, the Nintendo Switch. The game was delayed again in April 2016 due to problems with its physics engine. Nintendo let attendees play the game's Wii U version at E3 2016, where they also announced its subtitle, Breath of the Wild. CNET said that the showing would "take your breath away", and Breath of the Wild was the most talked-about E3 2016 game on social media according to Brandwatch, a social media monitoring platform. It was also listed among the best games at E3 by Eurogamer, GameSpot, and GamesRadar+. At a Nintendo presentation in January 2017, Nintendo showed a new trailer announcing that the game would be released as a launch game for the Switch. Breath of the Wild launched for both the Wii U and Switch on March 3, 2017. It was the last Nintendo game released for the Wii U. The Switch version was available in limited "Special Edition" and "Master Edition" bundles, which both included a Sheikah Eye coin, a Calamity Ganon tapestry with world map, a soundtrack CD, and a themed carrying case for the Switch. The Master Edition also included a figurine based on the Master Sword. An "Explorer's Edition" was released for the Switch on November 23, 2017, containing a two-sided map and a 100-page book of story information. In Europe, the game used unique packing artwork. A five-disc, 211-track soundtrack was released in Japan on April 25, 2018. On June 30, 2017, Nintendo released a "season pass" for two bundled downloadable content (DLC): The Master Trials and The Champions' Ballad. The Master Trials adds gameplay modes, features, and items. In the Trial of the Sword challenge, Link fights through around 45 rooms of enemies and must finish each room before proceeding. Link begins with no equipment, but is rewarded with a glowing Master Sword that has greater durability and possesses a doubled damage stat if the player completes the challenge. The pack also adds an option to play the game at a higher difficulty level, which adds ranks and raises the ranks of enemies. The enemies are more perceptive when Link sneaks near them and slowly regenerate health in battle. New floating platforms throughout the land offer enemies to battle and treasure as a reward. The Hero's Path feature draws the player's path on the game's map, designed to help players determine places they have not visited. The player can also find the hidden Travel Medallion to save Link's current position as a single waypoint to which the player can transport Link at any time. New items include the Korok Mask, which helps the player find Korok locations, and other themed cosmetics related to previous Zelda games. The Champions' Ballad was released on December 7, 2017, with a trailer presented at The Game Awards 2017 exhibiting the new content. The expansion pack adds a new dungeon, original story, gear, and additional challenges. It also introduces the Master Cycle Zero, a motorcycle-like vehicle that Link can ride after players complete the pack's additional content. Breath of the Wild was released to critical acclaim, with some calling the game a masterpiece and one of the greatest video games of all time. On the review aggregator Metacritic, Breath of the Wild was the highest-rated game of 2017 and holds the largest number of perfect reviews of any game from any year. Industry publications including IGN, GameSpot, Polygon, Entertainment Weekly, Eurogamer, Electronic Gaming Monthly, GamesRadar+, and Game Informer ranked Breath of the Wild the best game of 2017. It was the 29th game (including retrospective perfect scores) to earn a 10/10 score from Edge and the 24th game to receive a 40/40 score from Famitsu. The open-world gameplay received praise. Jose Otero of IGN described it as "a masterclass in open-world design" and "a wonderful sandbox full of mystery, dangling dozens upon dozens of tantalizing things in front of you that just beg to be explored". GameSpot called it the most impressive game Nintendo had made, writing that it "takes designs and mechanics perfected in other games and reworks them for its own purposes to create something wholly new, but also something that still feels quintessentially like a Zelda game ... It's both a return to form and a leap into uncharted territory, and it exceeds expectations on both fronts." Edge wrote that the game world was "an absolute, and unremitting, pleasure to get lost in" and that "the magic of being given all the tools in the opening hour is the knowledge that the solution to any problem is already at your disposal, and you can always change tack". According to Kyle Orland of Ars Technica, "after spending a week utterly immersed in Nintendo's open-world reimagining of the tried-and-true Zelda formula, it's hard to return to the more formulaic entries of the franchise's past". Journalists commented on unexpected results not intended by the developers, with serendipitous moments proving popular on social media. Chris Plante of The Verge predicted that whereas prior open-world games tended to feature prescribed challenges, Zelda would influence a new generation of games with open-ended problem-solving. Reviewers lauded the sense of detail and immersion. Kotaku recommended turning off UI elements in praise of the indirect cues that contextually indicate the same information, such as Link shivering in the cold or waypoints appearing when using the scope. Reviewers also commented on the unexpected permutations of interactions between Link, villagers, pets, and enemies, many of which were shared widely on social media. A tribute to former Nintendo president Satoru Iwata, who died during development, also attracted praise. Jim Sterling was more critical than most, giving Breath of the Wild a 7/10 score. He criticized the difficulty, weapon durability, and level design, but praised the open world and variety of content. Other criticism focused on the unstable frame rate and the low resolution of 900p; updates addressed some of these problems. Breath of the Wild broke sales records for a Nintendo launch game in multiple regions. In Japan, the Switch and Wii U versions sold a combined 230,000 copies in the first week of release, with the Switch version becoming the top-selling game released that week. In the UK, Breath of the Wild was the second-bestselling retail game its week of release behind Horizon Zero Dawn, and became the third-bestselling Zelda game behind Wind Waker and Twilight Princess. In the United States, Breath of the Wild was the second-bestselling video game during its month of release behind Tom Clancy's Ghost Recon Wildlands. Nintendo reported that Breath of the Wild sold more than one million copies in the US that month, 925,000 of which were for Switch - a 100% attach rate. That month, Nintendo reported it had sold 3.84 million copies of Breath of the Wild worldwide, 1.08 million for Wii U and 2.76 million for Switch, surpassing the Switch's global sales of 2.74 million for the same period. Nintendo president Tatsumi Kimishima said that the attach rate of Breath of the Wild to the Switch was "unprecedented". By June 2018, the Switch version had sold 9.32 million copies, and the Wii U version 1.5 million, for a total of 10.82 million, making Breath of the Wild the bestselling Zelda game. By September 2018, the Switch version reached 10.28 million copies sold. By December 2018, the Switch version reached 11.68 million copies sold. The game's success sparked increased interest in the Wii U emulator Cemu, as the Cemu developers rapidly updated the software to run the game at a smooth frame rate within weeks of release. Following its demonstration at E3 2016, Breath of the Wild received several accolades from the Game Critics Awards and from publications such as IGN and Destructoid. It was listed among the best games at E3 by Eurogamer, GameSpot, and GamesRadar+. In late 2016, Breath of the Wild received two awards at Gamescom, and won the award for Most Anticipated Game at The Game Awards 2016. 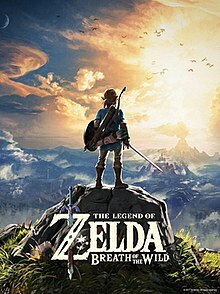 After its release, Breath of the Wild won multiple awards at The Game Awards 2017, including Game of the Year, Best Game Direction, and Best Action/Adventure Game, and was nominated for Best Art Direction, Best Score/Music, and Best Audio Design. At the 2018 DICE Awards, it won Game of the Year among other awards. ^ Japanese: ゼルダの伝説 ブレス オブ ザ ワイルド, Hepburn: Zeruda no Densetsu: Buresu obu za Wairudo? ^ Languages include Dutch, English, French, German, Italian, Japanese, Russian, and Spanish. The Dutch localization is text only and borrows the English voice-over by default, whilst the Spanish localization include two different voice-over tracks for different regions. ^ The Chinese and Korean localization is text only and borrows the Japanese voice-over by default. ^ Goldfarb, Andrew (June 14, 2016). "E3 2016: Zelda: Breath of the Wild's Open World is 12 Times Bigger than Twilight Princess". IGN. Ziff Davis. Archived from the original on June 14, 2016. Retrieved June 14, 2016. ^ a b George, Richard (January 23, 2013). "New HD Zelda Revealed for Wii U". IGN. Ziff Davis. Archived from the original on January 26, 2013. Retrieved June 16, 2014. ^ a b c d Phillips, Tom (January 19, 2017). "The big Zelda: Breath of the Wild interview". Eurogamer. Archived from the original on December 14, 2017. Retrieved May 17, 2018. ^ Gray, Kate (May 30, 2017). "Is The Legend of Zelda: Breath of the Wild the best-designed game ever?". Theguardian.com. Archived from the original on November 22, 2017. Retrieved November 2, 2017. ^ a b c d e f g Brown, Peter (March 2, 2017). "The Legend of Zelda: Breath of the Wild Review". GameSpot. Archived from the original on March 3, 2017. Retrieved March 2, 2017. ^ a b c d e Otero, Jose (March 2, 2017). "The Legend of Zelda: Breath of the Wild Review". IGN. Archived from the original on March 2, 2017. Retrieved March 2, 2017. ^ "Why Breath of the Wild is the future of blockbuster games". Theverge.com. Archived from the original on March 27, 2017. Retrieved November 2, 2017. ^ Sliva, Marty (December 5, 2014). "New Gameplay Shown From The Legend of Zelda Wii U". IGN. Ziff Davis. Archived from the original on December 6, 2014. Retrieved December 6, 2014. ^ Pereira, Chris (February 17, 2015). "Zelda Wii U's Open World Is as Big as the System Can Handle". GameSpot. CBS Interactive. Archived from the original on June 21, 2015. Retrieved June 21, 2015. ^ Phillips, Tom (June 14, 2016). "The Legend of Zelda: Breath of the Wild is the most ambitious Nintendo game in years". Eurogamer. Gamer Network. Archived from the original on June 15, 2016. Retrieved June 14, 2016. ^ a b Tach, David (March 2, 2017). "The Legend of Zelda: Breath of the Wild beginner's guide". Polygon. Archived from the original on April 26, 2017. Retrieved November 9, 2017. ^ Tassi, Paul (March 13, 2017). "Two Skills Break Zelda: Breath of the Wild's Otherwise Creative Combat". Forbes. Archived from the original on June 20, 2017. Retrieved November 9, 2017. ^ a b Hilliard, Kyle (February 10, 2017). "Everything We Know About The Legend Of Zelda: Breath Of The Wild's Dungeons". Game Informer. GameStop. Archived from the original on February 16, 2017. Retrieved April 4, 2017. ^ Phillips, Tom (March 15, 2017). "The reward for collecting all 900 Zelda: Breath of the Wild Korok seeds is a bit poo". Eurogamer. Gamer Network. Archived from the original on March 24, 2017. Retrieved April 4, 2017. ^ Crecente, Brian (June 14, 2016). "The Legend of Zelda: Breath of the Wild gets three new Amiibo, here they are". Polygon. Vox Media. Archived from the original on June 15, 2016. Retrieved August 25, 2016. ^ Kollar, Philip (March 8, 2017). "You can unlock Links classic green tunic in The Legend of Zelda: Breath of the Wild". Polygon. Archived from the original on March 8, 2017. Retrieved March 8, 2017. ^ Arif, Shabana. "The Legend of Zelda: Breath of the Wild Now Has an Official Place in the Series' Timeline... Sort Of". IGN. Retrieved August 6, 2018. ^ Nintendo. The Legend of Zelda: Breath of the Wild. Impa: The history of the royal family of Hyrule is also the history of Calamity Canon, a primal evil that has endured over the ages. This evil has been turned back time and time again by a warrior wielding the soul of a hero and a princess who carries the blood of the Goddess. With the passage of time, each conflict with Ganon faded into legend. So listen closely as I tell you of this 'legend' that occurred 10,000 years ago. ^ Nintendo. The Legend of Zelda: Breath of the Wild. Impa: Hyrule was then blossoming as a highly advanced civilization... the people thought it wise to utilize their technological prowess to ensure the safety of the land should Calamity Ganon ever return. They constructed... the Divine Beasts. They also built a legion of autonomous weapons called guardians. ^ Nintendo. The Legend of Zelda: Breath of the Wild. Impa: The Divine Beasts were piloted by four individuals of exceptional skill from across the land. And thus, the plan to neutralize Ganon was forged... The princess and the hero fought alongside these four Champions against this ancient evil. The Guardians were tasked with protecting the hero, as the Divine Beasts unleashed a furious attack... And when the hero wielding the sword that seals the darkness delivered his final blow, the princess used her sacred power to seal away Calamity Ganon. ^ Nintendo. The Legend of Zelda: Breath of the Wild. Princess Zelda's Research Notes: In the war against the Calamity 10,000 years ago ... were the injuries so great as to necessitate such a facility? ^ Nintendo. The Legend of Zelda: Breath of the Wild. King Rhoam: There was also a prophecy. 'The signs of a resurrection of Calamity Ganon are clear, and the power to oppose it lies dormant beneath the ground'. We decided to heed the prophecy and began excavating large areas of land. ^ Nintendo. The Legend of Zelda: Breath of the Wild. King Rhoam: [Ganon] seized control of the Guardians and the Divine Beasts and turned them against us. The Champions lost their lives. Those residing in the castle as well. The appointed knight, gravely wounded, collapsed while defending the princess. And thus, the Kingdom of Hyrule was devastated absolutely by Calamity Ganon. ^ Nintendo. The Legend of Zelda: Breath of the Wild. King Rhoam: However, the princess survived... to face Ganon alone. ^ Otero, Jose (June 14, 2016). "E3 2016: The Legend of Zelda: Breath of the Wild Might Be The Open World Zelda We Always Wanted". IGN. Ziff Davis. Archived from the original on June 14, 2016. Retrieved June 14, 2016. ^ Nintendo. The Legend of Zelda: Breath of the Wild. Zelda: Although Ganon is gone, for now, there is still so much for us to do. [...] I believe in my heart, that if all of us work together, we can restore Hyrule to its former glory. Perhaps... even beyond. But it all must start with us. ^ Pritchard, Tom (January 21, 2017). "Breath of the Wild Will Have an Alternate Ending". kotaku.co.uk. Future plc. Retrieved January 21, 2017. ^ a b Narcisse, Evan (October 14, 2013). "The Man In Charge of Zelda Says He Wants to Keep Changing It". Kotaku. Gawker Media. Archived from the original on October 15, 2013. Retrieved June 20, 2014. ^ East, Thomas (January 23, 2013). "Zelda Wii U to rethink conventions of Zelda - will it be multiplayer?". Official Nintendo Magazine. Future. Archived from the original on June 23, 2013. Retrieved June 20, 2014. ^ Smith, Carly (October 1, 2013). "Zelda: A Link Between Worlds Will Depart From Conventions". The Escapist. Defy Media. Archived from the original on October 2, 2013. Retrieved June 20, 2014. ^ Schreier, Jason (June 13, 2014). "The New Zelda Might Not Have The Puzzles You Expect". Kotaku. Gawker Media. Archived from the original on June 14, 2014. Retrieved June 20, 2014. ^ Kollar, Philip. "You can beat The Legend of Zelda: Breath of the Wild without finishing the story". Polygon. Archived from the original on June 16, 2016. Retrieved June 16, 2016. ^ Newhouse, Alex. "How Skyrim Influenced Breath Of The Wild". GameSpot. Archived from the original on December 24, 2017. Retrieved January 21, 2018. ^ a b Machkovech, Sam (March 1, 2017). "Nintendo used 8-bit Zelda engine to prototype Breath of the Wild". Ars Technica. San Francisco: Condé Nast. Archived from the original on March 4, 2017. Retrieved March 9, 2017. ^ Staff (February 13, 2017). "The Legend of Zelda: Breath of the Wild devs are speaking at GDC 2017!". GDC News. UBM. Retrieved February 13, 2017. ^ Otero, Jose (March 1, 2017). "Why Zelda: Breath of the Wild's Touchscreen Features Were Cut". IGN. Archived from the original on March 2, 2017. Retrieved March 8, 2017. ^ Haywald, Justin (June 14, 2016). "Why Zelda: Breath of the Wild's Link is Right-Handed". GameSpot. Archived from the original on June 15, 2016. Retrieved June 15, 2016. ^ a b Hillier, Brenna (January 18, 2017). "How The Legend of Zelda: Breath of the Wild is better on Switch than Wii U". VG247. Archived from the original on May 1, 2017. Retrieved March 24, 2017. ^ When docked, the Switch runs at 900p resolution, and when undocked, it runs at the screen's maximum 720p. The Wii U has the latter's maximum resolution. All versions run at 30 frames per second. ^ Peckham, Matt. "Why Nintendo Had to Destroy Tradition to Create the New 'Zelda'". TIME.com. Archived from the original on June 17, 2016. Retrieved June 18, 2016. ^ Reeves, Ben (June 20, 2016). "Monolith Is Helping Work On The Legend Of Zelda: Breath Of The Wild". Game Informer. Archived from the original on July 15, 2016. Retrieved July 13, 2016. ^ Casey. "Monolith Soft's Role In The Development Of The Legend of Zelda: Breath of the Wild". Siliconera. Archived from the original on February 1, 2017. Retrieved February 2, 2017. ^ Webster, Andrew. "The Legend of Zelda: Breath of the Wild's map is based on Kyoto". The Verge. Archived from the original on March 7, 2017. Retrieved March 6, 2017. ^ Kollar, Philip (June 21, 2016). "Why The Legend of Zelda: Breath of the Wild is getting voice acting and sci-fi elements". Polygon. Archived from the original on January 26, 2017. Retrieved March 8, 2017. ^ Lopez, Jason (January 26, 2017). "Every cutscene in The Legend of Zelda: Breath of the Wild will have voice acting". GameZone. Retrieved March 8, 2017. ^ Craddock, David (January 25, 2017). "Zelda producer says all cutscenes in Legend of Zelda: Breath of the Wild will feature voice acting". Shacknews. Archived from the original on February 1, 2017. Retrieved March 8, 2017. ^ Frank, Allegra; Robinson, Nick (February 27, 2017). "How to play The Legend of Zelda: Breath of the Wild in nine languages". Polygon. Archived from the original on March 1, 2017. Retrieved March 8, 2017. ^ Plunkett, Luke. "You Can Now Play Zelda: Breath Of The Wild With Japanese Vocals". Kotaku. Archived from the original on May 2, 2017. Retrieved May 2, 2017. ^ Phillips, Tom. "Let's take a look inside Nintendo's Zelda: Breath of the Wild wrap party". Eurogamer. Archived from the original on February 6, 2017. Retrieved February 7, 2017. ^ Dale, Laura Kate. "Nintendo is Localising Breath of the Wild into Chinese". Kotaku. Archived from the original on January 14, 2018. Retrieved September 28, 2017. ^ "한국닌텐도, 「젤다의 전설 브레스 오브 더 와일드」 한글판 2018년 초 정식 발매 결정!" (in Korean). Nintendo of Korea press release. September 27, 2017. Archived from the original on September 27, 2017. Retrieved September 28, 2017. ^ "任天堂(香港)有限公司決定將於2018年初正式發售 『薩爾達傳說 曠野之息』中文版！" (in Chinese). Nintendo Taiwan press release. September 27, 2017. Archived from the original on September 27, 2017. Retrieved September 28, 2017. ^ Greening, Chris. "Full sound team for Zelda: Breath of the Wild revealed". Video Game Music Online. Archived from the original on March 2, 2017. Retrieved March 6, 2017. ^ "The Making of The Legend of Zelda: Breath of the Wild Video – Open-Air Concept" (Video). YouTube. Nintendo. March 14, 2017. Archived from the original on October 24, 2017. Retrieved November 21, 2017. ^ Lemon, Marshall. "Zelda: Breath of the Wild lets you skip ahead to later dungeons". VG24/7. Archived from the original on June 18, 2016. Retrieved June 27, 2016. ^ Boxer, Steve (June 10, 2014). "Nintendo at E3: Zelda and Star Fox for Wii U a much-need shot in the arm". The Guardian. Archived from the original on June 10, 2014. Retrieved June 21, 2015. ^ Farokhmanesh, Megan (June 10, 2014). "New Legend of Zelda game for Wii U coming in 2015". Polygon. Vox Media. Archived from the original on June 10, 2014. Retrieved June 16, 2014. ^ McWhertor, Michael (March 27, 2015). "The Legend of Zelda Wii U delayed beyond 2015, skipping E3". Polygon. Vox Media. Archived from the original on March 28, 2015. Retrieved March 28, 2015. ^ Otero, Jose (June 17, 2015). "E3 2015: Why Nintendo Didn't Show Zelda Wii U". IGN. Ziff Davis. Archived from the original on June 18, 2015. Retrieved June 18, 2015. ^ Otero, Jose (June 16, 2015). "E3 2015: The Legend of Zelda Still Coming to Wii U". IGN. Ziff Davis. Archived from the original on June 17, 2015. Retrieved June 28, 2015. ^ Brown, Peter. "New Zelda Game Gets Official Title". GameSpot. Archived from the original on June 17, 2016. Retrieved June 16, 2016. ^ Kooser, Amanda (June 14, 2016). "New Legend of Zelda: Breath of the Wild trailer will take your breath away". CNET. CBS Interactive. Archived from the original on June 14, 2016. Retrieved June 15, 2016. ^ Joyce, Gemma (June 15, 2016). "Social Media Reacts to E3 2016". Brandwatch. Archived from the original on June 19, 2016. Retrieved June 15, 2016. ^ a b Welsh, Oli (June 17, 2016). "Eurogamer's best of E3 2016". Eurogamer. Gamer Network. Archived from the original on June 20, 2016. Retrieved June 20, 2016. ^ a b Espineli, Matt (August 19, 2016). "GameSpot Best of E3 2016 Awards". GameSpot. CBS Interactive. Archived from the original on June 19, 2016. Retrieved June 20, 2016. ^ a b "Our best games of E3 2016". GamesRadar. Future. June 17, 2016. Archived from the original on June 20, 2016. Retrieved June 20, 2016. ^ a b "The E3 2016 awards". GamesRadar. Future. June 17, 2016. Archived from the original on September 3, 2016. Retrieved September 11, 2016. ^ Machkovech, Sam (January 13, 2017). "Legend of Zelda: Breath of the Wild will launch day-and-date with Nintendo Switch". Ars Technica. Condé Nast. Archived from the original on January 13, 2017. Retrieved January 13, 2017. ^ Otero, Jose (June 17, 2016). "E3 2016: Why Zelda: Breath of the Wild Is Coming To Wii U And NX". IGN. Ziff Davis. Archived from the original on June 17, 2016. Retrieved June 17, 2016. ^ Stark, Chelsea (January 19, 2017). "Legend of Zelda: Breath of the Wild will be the last Nintendo game for Wii U". Polygon. Vox Media. Archived from the original on January 19, 2017. Retrieved January 19, 2017. ^ Frank, Allegra. "The Legend of Zelda: Breath of the Wild gets Switch launch day release date". Polygon. Archived from the original on January 14, 2017. ^ Dornbush, Jonathon. "The Legend of Zelda: Breath of the Wild Special, Master Editions Announced". IGN. Archived from the original on January 13, 2017. Retrieved January 13, 2017. ^ "Switch vs. Wii U: All the Zelda: Breath of the Wild Differences". GameSpot. Archived from the original on January 27, 2017. Retrieved January 18, 2017. ^ Carter, Chris (November 24, 2017). "Official Zelda: Breath of the Wild 'Explorer's Edition' is out this week". Destructoid. Archived from the original on November 26, 2017. Retrieved December 5, 2017. ^ Yin-Poole, Wesley (January 13, 2017). "Let's compare and contrast the US and European Legend of Zelda: Breath of the Wild box art". Eurogamer. Gamer Network (Reed Exhibitions). Archived from the original on March 13, 2018. Retrieved March 13, 2018. ^ Strawhun, Aiden. "Limited-Edition Zelda: Breath Of The Wild Complete Soundtrack Releasing This April In Japan". GameSpot. Archived from the original on March 4, 2018. Retrieved March 4, 2018. ^ Kuchera, Ben (June 13, 2017). "See Zelda: Breath of the Wild's two expansions in action". Polygon. Archived from the original on January 14, 2018. ^ a b Webster, Andrew (February 14, 2017). "The Legend of Zelda: Breath of the Wild is getting $20 worth of downloadable extras". The Verge. Archived from the original on February 14, 2017. ^ Peckham, Matt. "Not Finishing 'Breath of the Wild' Just Got Easier". Time. Archived from the original on June 7, 2017. ^ Robinson, Martin (July 7, 2017). "In Breath of the Wild's The Champion's Ballad you will be playing as Link". Eurogamer. Archived from the original on July 12, 2017. ^ Pereira, Chris (December 7, 2017). "Zelda: Breath Of The Wild's Champions' Ballad DLC Launches Tonight". GameSpot. CBS Interactive. Archived from the original on December 8, 2017. Retrieved December 7, 2017. ^ "The Legend of Zelda: Breath of the Wild for Switch Reviews". Metacritic. CBS Interactive. Archived from the original on March 3, 2017. Retrieved March 2, 2017. ^ "The Legend of Zelda: Breath of the Wild for Wii U Reviews". Metacritic. CBS Interactive. Archived from the original on March 31, 2017. Retrieved March 2, 2017. ^ Carter, Chris (March 2, 2017). "Review: The Legend of Zelda: Breath of the Wild". Destructoid. Archived from the original on March 3, 2017. Retrieved March 2, 2017. ^ a b c "The Legend of Zelda: Breath of the Wild". Edge. No. 304. Future. April 2017. pp. 104–107. ^ Schaefer, Emma (March 2, 2017). "The Legend of Zelda: Breath of the Wild review". EGMNow. Archived from the original on March 2, 2017. Retrieved March 2, 2017. ^ Welsh, Oli (March 2, 2017). "The Legend of Zelda: Breath of the Wild review". Eurogamer. Archived from the original on March 3, 2017. Retrieved March 2, 2017. ^ Romano, Sal (March 1, 2017). "Famitsu Review Scores: Issue 1474". Gematsu. Archived from the original on May 1, 2017. Retrieved March 1, 2017. ^ Hilliard, Kyle (March 2, 2017). "A New Era Dawns On Zelda - The Legend of Zelda: Breath of the Wild - Nintendo Switch". Game Informer. Archived from the original on March 3, 2017. Retrieved March 2, 2017. ^ Leack, Jonathan (March 1, 2017). "The Legend of Zelda: Breath of the Wild Review". Game Revolution. Retrieved March 1, 2017. ^ Castle, Matthew (March 2, 2017). "The Legend of Zelda: Breath of the Wild review: "It's taken 18 years, but Nintendo has done it again: this is the adventure game to beat."". GamesRadar+. Archived from the original on March 3, 2017. Retrieved March 2, 2017. ^ Ryckert, Dan (March 2, 2017). "The Legend of Zelda: Breath of the Wild Review". Giant Bomb. Archived from the original on March 3, 2017. Retrieved March 2, 2017. ^ Whitehead, Thomas (March 2, 2017). "The Legend of Zelda: Breath of the Wild Review". Nintendo Life. Retrieved March 2, 2017. ^ Ronaghan, Neal (March 2, 2017). "The Legend of Zelda: Breath of the Wild Review". Nintendo World Report. Retrieved March 2, 2017. ^ Gies, Arthur (March 2, 2017). "The Legend of Zelda: Breath of the Wild review". Polygon. Archived from the original on March 3, 2017. Retrieved March 2, 2017. ^ Bell, Alice (March 2, 2017). "The Legend of Zelda: Breath of the Wild Review". VideoGamer.com. Archived from the original on March 3, 2017. Retrieved March 2, 2017. ^ Peckham, Matt (March 2, 2017). "Review: 'Breath of the Wild' Is a Masterpiece Zelda Game". Time. Archived from the original on March 28, 2017. Retrieved March 24, 2017. ^ Morales, Aaron (March 14, 2017). "'The Legend of Zelda: Breath of the Wild' Is a Masterpiece: EW review". Entertainment Weekly. Archived from the original on April 1, 2017. Retrieved March 24, 2017. ^ Otero, Jose (March 2, 2017). "The Legend of Zelda: Breath of the Wild Review". IGN. p. 2. Archived from the original on March 21, 2017. Retrieved March 24, 2017. ^ Leadbetter, Richard (March 3, 2017). "Zelda on Switch runs more smoothly in portable mode". Eurogamer. Archived from the original on March 6, 2017. Retrieved March 24, 2017. ^ Gerardi, Matt; Purdom, Clayton (March 17, 2017). "Is The Legend Of Zelda: Breath Of The Wild one of the best games of all time?". The A.V. Club. Retrieved March 24, 2017. ^ Reviewers who called the game a "masterpiece" include those of Time, Entertainment Weekly, IGN, Eurogamer, and The A.V. Club. ^ "The Legend of Zelda: Breath of the Wild Declared As The Greatest Game of All Time By EDGE Magazine « GamingBolt.com: Video Game News, Reviews, Previews and Blog". gamingbolt.com. Archived from the original on January 14, 2018. Retrieved September 2, 2017. ^ "Persona 5 Voted As The Greatest Game of All Time By Famitsu Magazine « GamingBolt.com: Video Game News, Reviews, Previews and Blog". gamingbolt.com. Archived from the original on January 14, 2018. Retrieved September 2, 2017. ^ "Best Video Games for 2017". Metacritic. CBS Interactive. Retrieved August 29, 2017. ^ Hillier, Brenna (March 8, 2017). "Zelda: Breath of the Wild has the most perfect review scores in Metacritics history". VG247. Archived from the original on April 4, 2017. Retrieved March 24, 2017. ^ Kuchera, Ben (March 2, 2017). "Zelda: Breath of the Wild is already one of the best-reviewed games of all time". Polygon. Archived from the original on March 18, 2017. Retrieved March 24, 2017. ^ Schreier, Jason (March 2, 2017). "The Legend of Zelda: Breath of the Wild: The Kotaku Review". Kotaku. Archived from the original on March 13, 2017. Retrieved March 24, 2017. ^ "Best of 2017 Awards: Game of the Year". IGN. December 20, 2017. Archived from the original on December 4, 2017. Retrieved December 27, 2017. ^ Brown, Peter (December 20, 2017). "GameSpot's Game Of the Year 2017 - The Legend Of Zelda: Breath Of The Wild". GameSpot. Archived from the original on December 22, 2017. Retrieved December 21, 2017. ^ Tach, Dave (December 15, 2017). "Our #1 game of the year: The Legend of Zelda: Breath of the Wild". Polygon. Archived from the original on December 18, 2017. Retrieved December 21, 2017. ^ EGM staff (December 31, 2017). "EGM's Best of 2017: Part Five: #5 ~ #1". EGMNow. Archived from the original on January 7, 2018. Retrieved January 14, 2018. ^ GamesRadar staff (December 22, 2017). "The best games of 2017: Page 3". GamesRadar+. Archived from the original on March 26, 2018. Retrieved March 25, 2018. ^ Game Informer staff (January 4, 2018). "Game Informer's Best Of 2017 Awards". Game Informer. Archived from the original on January 8, 2018. Retrieved January 5, 2018. ^ Davidson, Joey (March 1, 2017). "Zelda: Breath of the Wild gets Famitsu's 24th perfect score". TechnoBuffalo. Archived from the original on April 27, 2017. Retrieved March 26, 2013. ^ Orland, Kyle (March 3, 2017). "Breath of the Wild may be the best Zelda game ever". Ars Technica. Archived from the original on March 30, 2017. Retrieved March 31, 2017. ^ a b c d e Oxford, Nadia (March 16, 2017). "Here Are the Coolest Things People Have Discovered About Zelda: Breath of the Wild". USgamer. Archived from the original on April 30, 2017. Retrieved March 24, 2017. ^ a b Kuchera, Ben (March 8, 2017). "Zelda: Breath of the Wild definitely reacts when you play naked". Polygon. Archived from the original on March 9, 2017. Retrieved March 8, 2017. ^ a b Frank, Allegra (March 7, 2017). "Breath of the Wild would be a perfect game if you could just pet the dogs". Polygon. Archived from the original on March 8, 2017. Retrieved March 8, 2017. ^ a b c Plante, Chris (March 17, 2017). "Why Breath of the Wild is the future of blockbuster games". The Verge. Archived from the original on March 24, 2017. Retrieved March 24, 2017. ^ a b c Hamilton, Kirk (March 4, 2017). "If You're Playing Zelda: Breath Of The Wild, Turn Off The Minimap". Kotaku. Archived from the original on March 4, 2017. Retrieved March 8, 2017. ^ Kuchera, Ben (March 15, 2017). "Zelda: Breath of the Wild's alleged Iwata tribute is beautiful". Polygon. Retrieved March 24, 2017. ^ Sterling, Jim. "The Legend of Zelda: Breath of the Wild Review – Broken Sword – The Jimquisition". www.thejimquisition.com. Retrieved March 24, 2017. ^ "Zelda: Breath of the Wild patch improves frame rates". Polygon.com. Archived from the original on April 1, 2017. Retrieved May 13, 2017. ^ "'Zelda: Breath of the Wild' patch improves docked Switch performance". endgadget.com. Archived from the original on April 17, 2017. Retrieved May 13, 2017. ^ a b Dornbush, Jonathon (March 10, 2017). "What Does the Nintendo Switch, Breath of the Wild Launch Success Actually Mean?". IGN. Archived from the original on March 14, 2017. Retrieved March 15, 2017. ^ In the Americas, the title surpassed Super Mario 64 as Nintendo's fastest-selling standalone launch game, not including titles included with consoles, such as Wii Sports. In Europe, Australia, and New Zealand, Breath of the Wild outsold even Wii Sports in its opening weekend. ^ Ashcraft, Brian (March 9, 2017). "The Nintendo Switch's First Week Game Sales In Japan". Kotaku. Archived from the original on March 30, 2017. Retrieved March 24, 2017. ^ Parfitt, Ben (March 6, 2017). "Horizon Zero Dawn beats Zelda to No.1". MCV. Archived from the original on March 21, 2017. Retrieved March 24, 2017. ^ Dayus, Oscar (March 6, 2017). "Top 10 UK Sales Chart: Horizon Zero Dawn Defeats Zelda: Breath Of The Wild". GameSpot. Archived from the original on March 9, 2017. Retrieved June 30, 2017. ^ "Zelda: Breath Of The Wild outsells Horizon Zero Dawn in US". GameCentral. April 21, 2017. Archived from the original on June 28, 2017. Retrieved June 30, 2017. ^ Gartenberg, Chaim (March 22, 2017). "The Xbox One is struggling because video game exclusives still matter". The Verge. Archived from the original on March 23, 2017. Retrieved March 24, 2017. ^ Khan, Asif (March 14, 2017). "Nintendo has sold 1.5 million Switch Consoles According to SuperData". Shacknews. Retrieved March 24, 2017. ^ Hidalgo, Jason. "Technobubble: Switch fastest-selling Nintendo system, Zelda Switch attach rate above 100%". Reno Gazette-Journal. USA Today. Retrieved April 16, 2017. ^ "Sales Data - Top Selling Title Sales Units". IR Information. Nintendo. Retrieved August 16, 2018. ^ Chalk, Andy (April 4, 2017). "Watch 'fully playable' Breath of the Wild running at 4K in the Cemu emulator". PC Gamer. Archived from the original on April 24, 2017. Retrieved April 5, 2017. ^ Fenlon, Wes (March 22, 2017). "Wii U emulator devs show incredible Breath of the Wild progress in new video". PC Gamer. Archived from the original on May 5, 2017. Retrieved April 5, 2017. ^ Fenlon, Wes (March 7, 2017). "How the Cemu emulator's devs got Zelda: Breath of the Wild running in just a few hours". PC Gamer. Retrieved April 5, 2017. ^ "2016 Winners". Game Critics Awards. July 2016. Archived from the original on February 25, 2015. Retrieved July 5, 2016. ^ "Best of E3 2016 Awards". IGN. Ziff Davis. June 17, 2016. Archived from the original on June 22, 2016. Retrieved June 17, 2016. ^ Devore, Jordan (June 22, 2016). "And Destructoid's E3 2016 Game of the Show was..." Destructoid. Archived from the original on June 22, 2016. Retrieved June 24, 2016. ^ Paget, Mat (August 19, 2016). "Zelda: Breath of the Wild Takes Top Award at Gamescom". GameSpot. CBS Interactive. Archived from the original on August 20, 2016. Retrieved August 19, 2016. ^ Makuch, Eddie (November 16, 2016). "All the 2016 Game Awards Nominees". GameSpot. CBS Interactive. Archived from the original on January 18, 2017. Retrieved November 18, 2016. ^ a b Makuch, Eddie (December 8, 2017). "The Game Awards 2017 Winners Headlined By Zelda: Breath Of The Wild's Game Of The Year". GameSpot. Archived from the original on December 9, 2017. ^ a b Makuch, Eddie (January 14, 2018). "Game Of The Year Nominees Announced for DICE Awards". GameSpot. Archived from the original on January 17, 2018. Retrieved January 17, 2018. ^ Pereira, Chris (July 5, 2016). "Here Are E3 2016's Game Critics Award Winners". GameSpot. Archived from the original on May 20, 2017. ^ Osborn, Alex (December 1, 2016). "The Game Awards 2016 Winners Announced". IGN. ^ "The Grand Award goes to "The Legend of Zelda: Breath of the Wild"" (PDF). Computer Entertainment Supplier's Association. September 21, 2017. p. 1. Archived from the original (PDF) on September 25, 2017. Retrieved January 15, 2018. ^ "All the winners from the Radio 1 Teen Awards 2017". BBC. Archived from the original on November 29, 2017. Retrieved January 15, 2018. ^ Dwan, Hannah (October 27, 2017). "Public voting and the nominations for the 2017 Golden Joystick Awards are now up". The Daily Telegraph. Archived from the original on January 3, 2018. Retrieved January 15, 2018. ^ Dwan, Hannah (November 18, 2017). "The 2017 Golden Joystick Awards winners have been revealed". The Daily Telegraph. Archived from the original on November 20, 2017. Retrieved January 15, 2018. ^ "Lauréats aux Ping Awards 2017" (in French). Ping Awards. November 21, 2017. Retrieved November 19, 2018. ^ "Nominee List for 2017". National Academy of Video Game Trade Reviewers. February 9, 2018. Archived from the original on February 15, 2018. Retrieved February 14, 2018. ^ McNeill, Andrew (January 31, 2018). "Here Are Your 2018 SXSW Gaming Awards Finalists!". SXSW. Archived from the original on February 1, 2018. Retrieved January 31, 2018. ^ McWhertor, Michael (January 5, 2018). "Zelda, Horizon lead 2018 Game Developers Choice Award nominees". Polygon. Archived from the original on January 10, 2018. Retrieved January 15, 2018. ^ deAlessandri, Marie (March 15, 2018). "Hellblade: Senua's Sacrifice at forefront of BAFTA Games Awards nominations". MCV. Archived from the original on March 16, 2018. Retrieved March 15, 2018. ^ Makedonski, Brett (April 12, 2018). "BAFTA names What Remains of Edith Finch its best game of 2017". Destructoid. Archived from the original on April 25, 2018. Retrieved April 12, 2018. ^ Cohen, Jess (June 22, 2018). "Teen Choice Awards 2018: Avengers: Infinity War, Black Panther and Riverdale Among Top Nominees". E!. Retrieved June 25, 2018. ^ Ramos, Dino-Ray (August 12, 2018). "Teen Choice Awards: 'Riverdale', 'Infinity War', 'Black Panther' Among Top Honorees – Full Winners List". Deadline Hollywood. Retrieved August 13, 2018.